Good afternoon, space fans! It was a strikingly successful week in space. Don't mind the fire, they're fine. The Expedition 43 crew, comprised of NASA astronaut Terry Virts, ESA astronaut Samantha Cristoforetti, and cosmonaut Anton Shkaplerov, returned safely to Earth on Thursday morning. They rode home in a Soyuz TMA-15M module that parachuted them into a field in the remote town of Dzhezkazgan in southeastern Kazahkstan. The astro-adventurers spent 199 days in space, conducting numerous experiments, maintenance, spacewalks and cargo-ship grabs, making over 3,000 laps of the planet as they worked. That's over 84 million miles! Cristoforetti's space sojourn allowed her to set the world record for most time spent in space by a woman, previously held by NASA's Sunita Williams. Before their departure of the ISS, Virts thanked their ISS ground teams worldwide, as well as their families for all of their support during the mission, then handed over command of the station to veteran cosmonaut Gennady Padalka. Commander Padalka remains aboard with his cosmonaut comrade Mikhail Kornienko, and Kornienko's fellow One Year Crew marathon-spaceman, NASA astronaut Scott Kelly. In several days, Padalka is set to make the record for most days spent in space EVER. The three new crew of Expedition 44 are slated to launch on June 22 from Baikonur. Commander Oleg Kononenko will pilot a Soyuz TMA-17M bearing NASA astronaut Kjell Lindgren and JAXA (Japan Aerospace Exploration Agency) astronaut Kimiya Yui to the ISS. The hundreds of experiments conducted during the course of Expedition 43 will have a direct impact on future ISS missions, as well as missions for humanity's colonization of Mars. Returning with the Expedition 43 crew were various completed and continuing scientific experiments and equipment, including dosimeters used for radiation-exposure experiments, and samples for a microbiome experiment that analyzes spaceflight's effects on the human immune system. 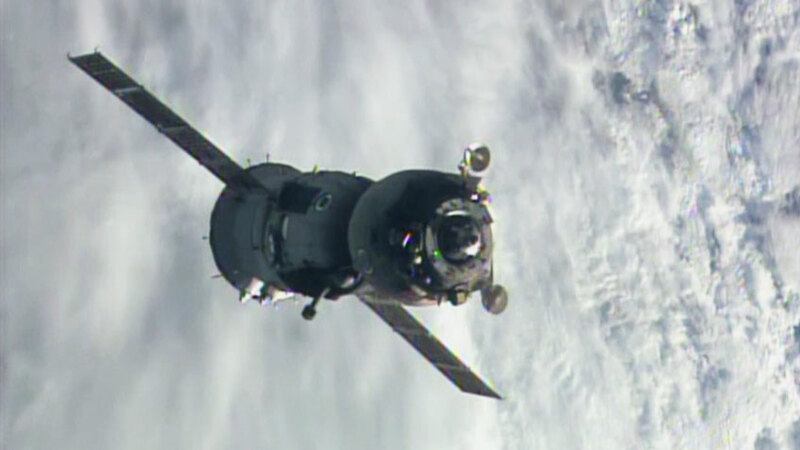 Cruising back down Earth-side in the Soyuz. That's a very dry version of the events that transpired...check out this video, shot by NASA astronaut Barry Wilmore on the Expedition 42 crew's reentry, to see what it's like to ride home "in a fireball"! And finally, astronaut Scott Kelly of the One Year Crew continued to capture amazing imagery from space, in addition to his gravity-and-history-defying research work. He posted this image to social media on Tuesday, stating, "This lake North East of the Himalayas appears to be the bluest place on Earth from the International Space Station. #YearInSpace." They got the blues...in a really good way. Kelly also augmented his artistic street-cred (well, space-cred) when he told NBC that he had anticipated a watercolor set as part of the gear aboard the ISS. Though the paints were not present, NASA has vowed to send up a set in one of the next shipments. As Kelly explained, "This is a great environment for looking out the window and painting what you see." That's all for this week, space fans! We'll have more news on Expedition 44's upcoming mission next week...watch this space! Congratulations, crew! May life in space and on Earth continue to benefit from your badassery.